The Ashbrook Center teaches what it means to be an American. The Ashbrook Scholar program has dramatically increased in both size and scope since its creation. Ashbrook Scholars are distinguished in their academic standing, personal achievement and moral character. While these young students come from a wide range of academic backgrounds, they all share a common characteristic in their public spiritedness and a common concern for principled political leadership. 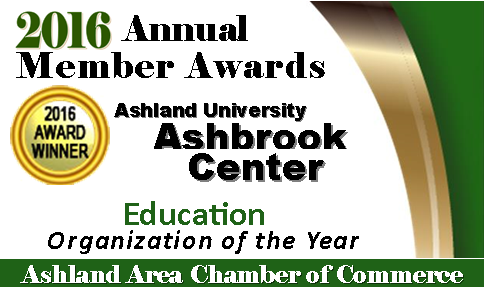 The Ashbrook Center also seeks to both inform and ''refine and enlarge the public view'' through internet resources and events, including Major Issues Lecture Series luncheons, Colloquia, and Ashbrook Memorial Dinners. The Ashbrook Scholar Program is a rigorous and top-rated academic program for a select group of undergraduate students majoring or minoring in Political Science or History at Ashland University.